Can 3D Printing Change the Future? Posted Wednesday, November 21st, 2012 by Robyn Warner. 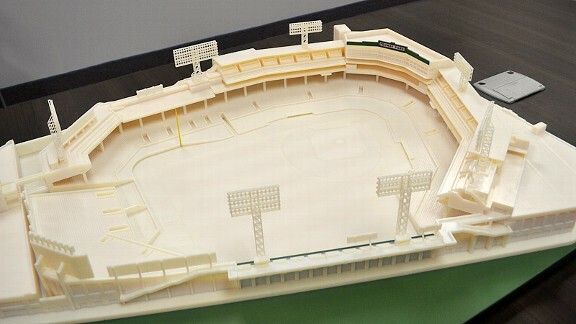 An industrial 3D printer was used to make this 3×5 foot replica of Fenway Park. Over the last two decades 3D printing has evolved from an innovative concept to a soon-to-be staple on both small and large scales. In the years to come, as these 3D printers develop further, our homes, cars and offices may be equipped with a 3D printer. We may even be able to print our own medication. Today, there are a variety of products being created by 3D printers, such as eyeglasses and furniture. 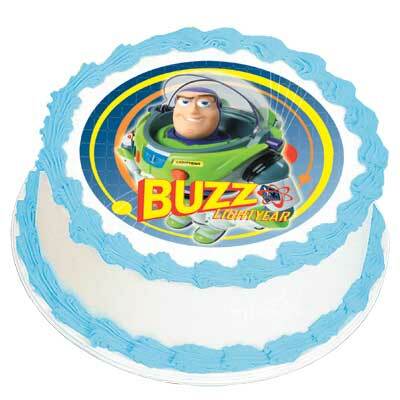 At this point, 3D printing is used primarily for rapid prototyping. This means parts for cars, for instance, are being designed on a computer and printed by a 3D printer to serve as a prototype for the actual car parts, which are then manufactured in more traditional ways. Many experts compare the current status of 3D printing to the development of Apple computers when they were still being produced in Steve Jobs’ garage. In that context, it feels a bit like standing on the edge of an entirely new way of life.